Have your plans to do something nice for somebody ever backfired? Both of our children hid from the crowd at one point during their last birthday parties. All of the sudden I suppose they hit their threshold of excitement, and they went to hide under the covers and relax for a while. In retrospect, I suppose the house did get a little crazy. At times like that, it’s so important to keep the feelings of others in mind - and to keep a good perspective of what it really means to do kind things for others. Disclosure: This is the third part of our series How to Teach Empathy to Kids - a collaboration with Penguin Young Readers. A copy of the book Let’s Have a Dog Party! was provided to us to allow us to create this series of articles. All thoughts and recommendations are our own. One example of this perspective is from when I was very young. I bought a necklace for my mom and I turned it into a scavenger hunt to find it. I remember it clearly because she wasn’t figuring out the clues I wrote and I got frustrated. In the moment I completely forgot the entire point of the nice thing I wanted to do. It wasn’t a gift for me after all - what a silly reaction for me to have to get upset and ruin the mood. Another great example of this phenomenon is what you always see in amusement parks. We recently visited Disney World - and I have to say it is quite possibly the easiest place in the world for parents to forget why they’re doing nice things for their kids. It’s almost impossible to complete a trip to Disney World (or any amusement park for that matter) without hearing a child publicly berated by their parents to stop being sad and to start having more fun. I’m certainly not saying I’m immune to frustration - I’m just saying that I think we all have moments when we need to step back and remind ourselves what it’s all about. 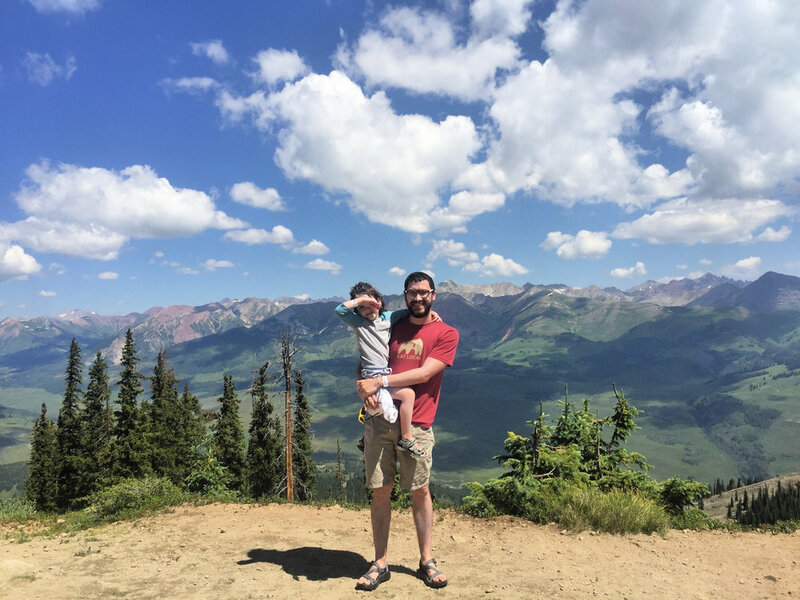 And I’m not just talking about the birthday parties or the vacations - I’m talking about what being a parent is all about and what life is all about. We do nice things for other people because we love them and we want to make them happy. We do nice things for our kids because we want to give them a magical childhood and stimulate their creativity and lead them on their way to a happy life full of love. That’s why it’s a sick tragicomedy when we twist those nice things and make them all about us. If we forget what the real goal is - we’re inevitably going to show a real lack of empathy. We’re no longer going to put ourselves in someone else’s shoes or consider their feelings. We must avoid this absurdity, and we must keep our empathy strong as parents so we can instill it in our kids. 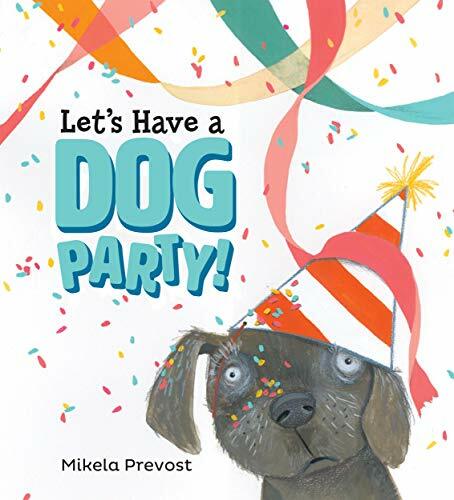 We’ve recently gotten our hands on a brand-new picture book that instantly reminded me of our children’s recent birthday parties - Let’s Have a Dog Party! by Mikela Prevost. It’s turned out to be a perfect addition to our collection of books that can teach empathy. And it also really carves out its own niche by focusing on this very specific example of understanding the feelings of others - not everybody is going to like the same things you like. In Let’s Have a Dog Party!, Kate throws a surprise party for her dog Frank - and he is not having it one bit. Frank just wants his bowl, his favorite comfortable sitting spot, and Kate. Instead he has a house full of noisy people singing and dancing. Frank is the center of attention, and everyone is of course technically being very nice, but Frank is clearly very overwhelmed and unhappy. But even when Frank runs away and hides, all of the kids think he just wants to play hide-and-seek. Children will easily spot how oblivious the kids are being to Frank’s concerns, and they will definitely notice how uncomfortable he is throughout the book. Frank is definitely portrayed as an introvert - and I think this is a feeling that can be extremely useful for kids to explore. We all readily accept the common fact that people are introverted or extroverted - but not all kids have heard those terms or even understand the concept. Reading about Frank’s appreciation for the simple pleasures in life and his anxiety about the noisy birthday party can be a validating experience for other little introverts out there - and it can of course also be a window for extroverts to understand that their feelings are not the only way to feel. Let’s Have a Dog Party! is certainly more than just an empathy lesson - it’s also a beautiful story about love and friendship. When Kate finds Frank hiding in the closet and she finally realizes how he’s feeling - she pulls a complete 180 to make her friend happy. She actually gasps, because she is clearly horrified about what she’s done. And that’s exactly the lesson that I hope gets driven home to my kids about love. We’re all going to make mistakes sometimes - even if we always have good intentions. Sooner or later we’re going to do something that makes someone else unhappy. But, once we realize it, we should all audibly gasp like Kate and do everything in our power to reverse it. That’s what love and friendship is all about - legitimately caring about the feelings of others. Kate didn’t get mad at Frank. Kate didn’t drag Frank out of the closet. She didn’t say “Listen here, Frank. You get out there and you play with your guests. They came for a birthday party and they put on party hats and now you’re going to march right out there and play with them.” But unfortunately I’m sure we can all think of several people who would have responded that way. Children can certainly learn from Frank’s feelings and Kate’s powerful realization, but parents can definitely learn a thing or two as well. Let’s Have a Dog Party! helps remind me to keep my perspective in check. It helps remind me to toss out my pride and selfishness. And it helps remind me to eliminate any preconceived notions of expectations or traditions, and to keep my eye on the prize - a pair of happy kids. Have you read Let’s Have a Dog Party! yet? Do you have a favorite book that focuses on empathy? Let us know in the comments!